What’s hot in interior design? Here at Treasure Coast Window Fashions serving the Palm Beach area, we can help you with all your home interior needs. Here are just a few home fashion trends we’re keeping an eye on for 2014. Heavy drapes are a thing of the past. 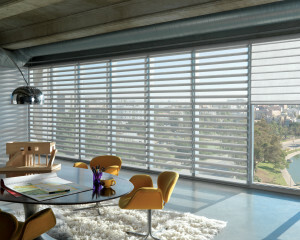 The look now is for more translucent window treatments that provide privacy but generously bring in natural light. Sheer shades or modern draperies add a delicate touch to your windows. 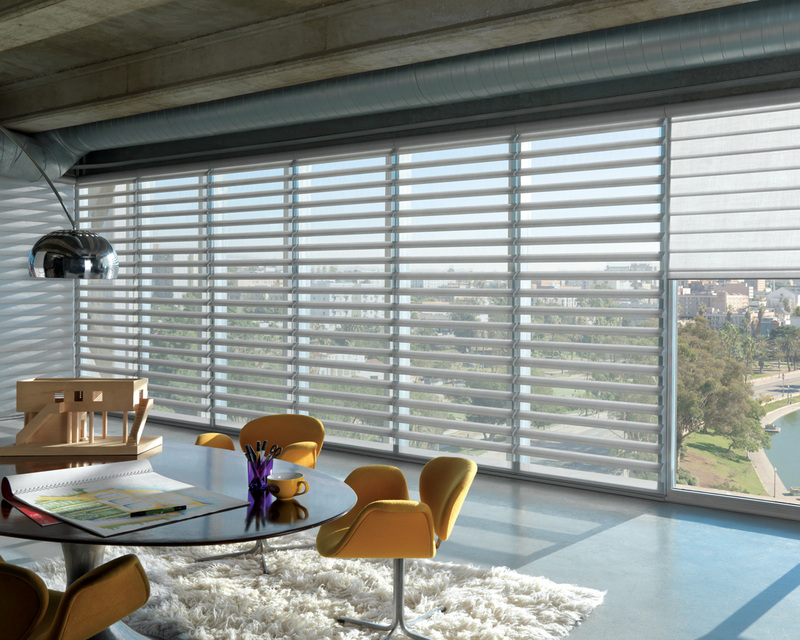 Sheers are a very stylish and highly functional option for sliding glass doors, french doors, and large windows. Narrow sidelights and accent windows are easily covered with sheer shades. The trend in our lives to de-clutter and simplify has made its way into home design. Minimalism is in, bringing with it clean, inviting, and relaxing spaces. Get rid of your extra stuff, organize what you keep in designed bins, crates and boxes to create an open and uncluttered atmosphere. Sleek window treatments, soft pillows, interesting shapes, fresh flowers, and earthy forms are easy touches for room makeovers. Overuse of patterns such as the popular Ikat can lead to them falling out of style. In 2014, design industry experts predict that we’ll see a resurgence of some patterns that have all but disappeared, but in a different way. More subtle use of patterns such as chevron, stripes, Ikat and zig-zags on accessories, top treatments, throws, pillows and rugs will be in many homes this year. Softer is better. Trends back toward white kitchens with a softer look are becoming popular. This design trend is achieved by complementing white cabinets and appliances with natural countertops, wood accents, and relaxed window treatments. The use of natural, earthy elements are making a big comeback. Textured wallpaper, as well as the natural textures of wood, are popular for use in any room design. Complement textures with natural design elements such as plants, reclaimed wood, woven window treatments, a basket of seashells or smooth found rocks.